Following are some CLI commands that are used with both element and app projects. 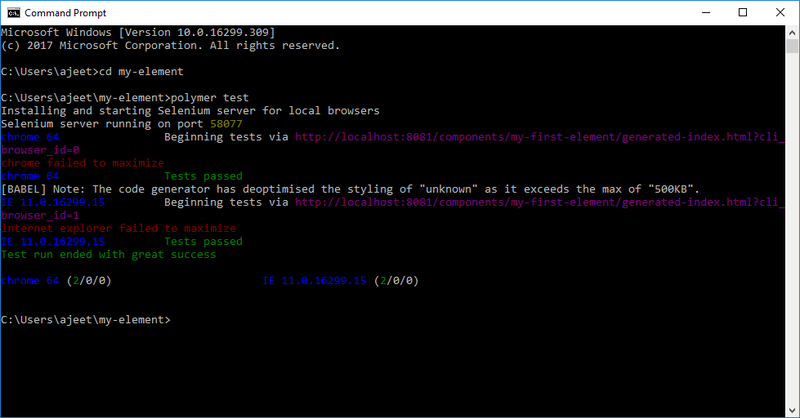 You can also create your own tests by going in the test directory. You can also configure a custom hostname on your system. 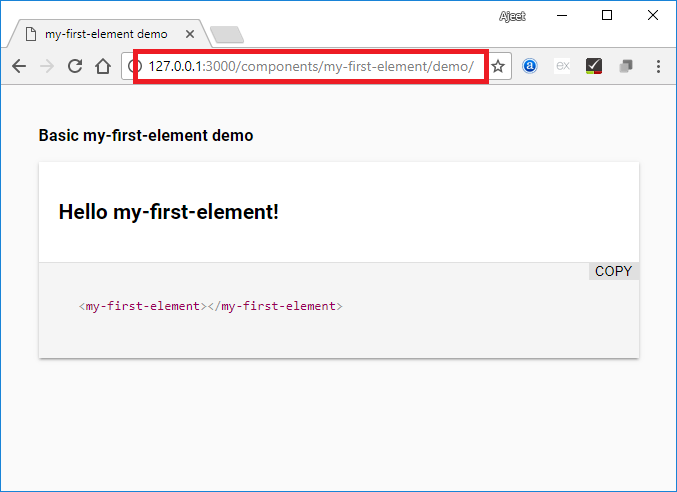 You can change the default opening page index.html to any other page and a specific browser.